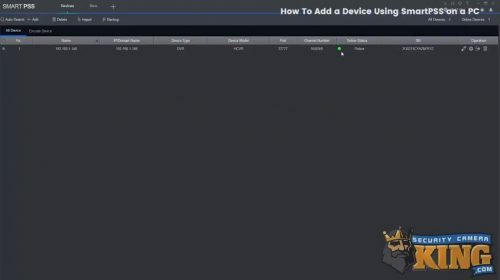 This article will provide the reader with an easy to follow guide for adding new devices using Smart PSS on PC. 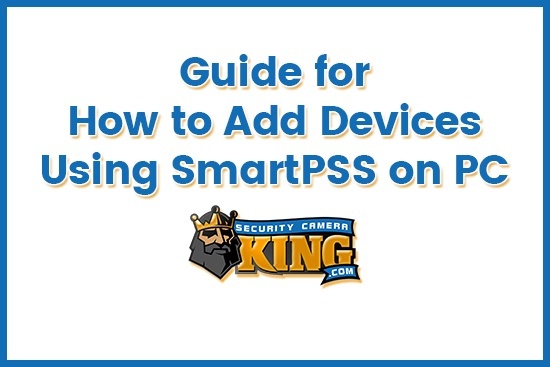 You can also find the Security Camera King video tutorial for how to add new devices using Smart PSS/PC below. 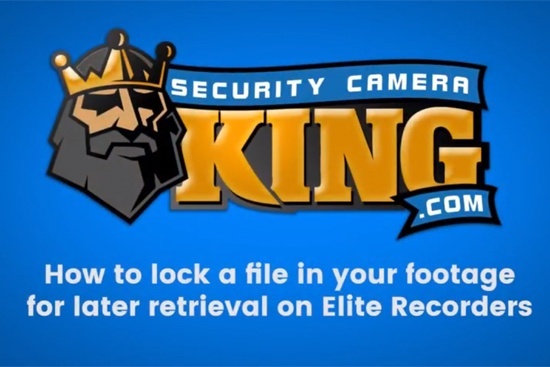 To shop for new video recorders (NVRs or DVRs) or to view our complete inventory of security cameras and surveillance systems for sale online visit us at Security Camera King. We are one of the nation’s leading online surveillance equipment distributors and offer our many different security products at wholesale prices. Call 866-573-8878 for further technical support or product assistance. 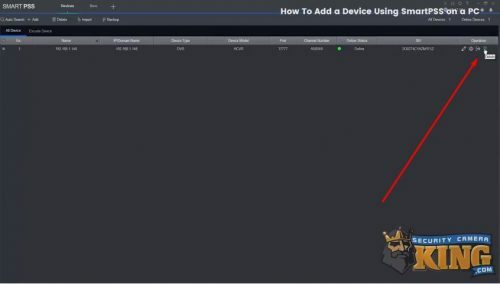 Let’s begin the step-by-step guide for how to add devices using Smart PSS on PC. Once you are in Smart PSS, the default page should be where you begin. However, to make sure let’s go over how to get there. Select the + icon located at the top of Smart PSS. 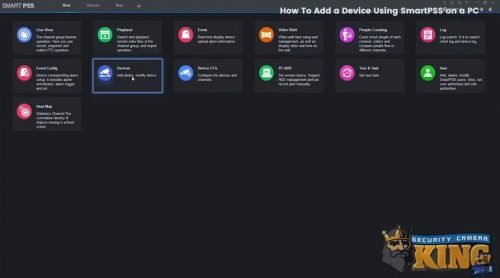 Next, locate Devices (inside the box should read Add, delete, modify device) and click inside the box. 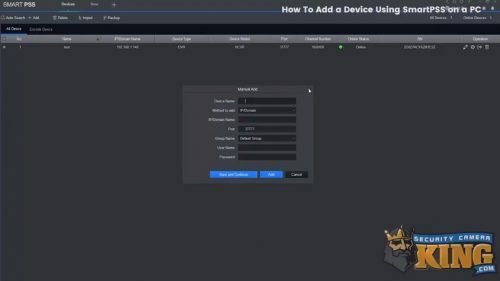 There are two ways to add devices using Smart PSS on PC. The first route is through Auto Search. For this route, first, you will need to select Auto Search, located in the top-left corner of the page. This will open up a box with device names listed inside of it. Now locate your device name. 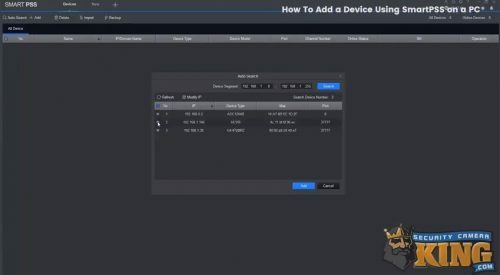 After locating your device, select the box next to the device name. Then select Add. If a prompt asking ‘Are you sure to add this device’ pops up then select OK. THen you will need to enter your Username and Password. Once these are entered, select OK. Now you should see the Online Status of the device listed as Online and marked green. The second route for adding new devices using Smart PSS on PC is by Manual Add. If you just followed the previous steps then you will need to delete the device we just added using the first route. Locate the Trash Bin icon under operation. Then click on the icon to delete the device. Now we can add the device manually. To manually add new devices using Smart PSS on PC, first select +Add, located in the top left menu bar of the first default page (next to Auto Search). The Manual Add box will pop up next. Enter your information here (such as Device Name, IP/Domain Name, Username, and Password). You can input the IP address or use the serial number if p2p is enabled in your recorder. Once you have entered all the necessary information, select Save and Continue. The Online Status of your device should now read Online and be marked green. Please watch our video tutorial below to follow along with these instructions if you are having any troubles. We hope this guide has been helpful and urge you to call us at 866-573-8878 if you need further assistance. 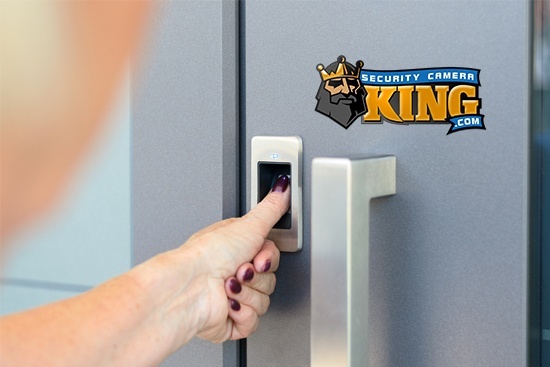 Security Camera King is a professional team of online security camera distributors that offer our surveillance products at wholesale prices for buyers nationwide. We regularly provide our clients with helpful guides and tutorials, all of which can be found in our website. Our Video Vault has everything from product comparisons and security camera reviews, demos, walkthroughs, and more. And in Security Articles are even more guides, more industry-related news, and various featured product promotions (click here to learn more about how to configure the ideal settings for our most popular license plate recognition camera). Our two separate facilities are located in Wheat Ridge, CO and Boca Raton, FL. This conveniently places us in an ideal place to handle the security camera and surveillance equipment needs for customers throughout the country. No matter what your security and surveillance budget is, you can find the perfect choice available in our online inventory. We even offer fast and overnight shipping options and firmly stand behind our products with a customer satisfaction guarantee. 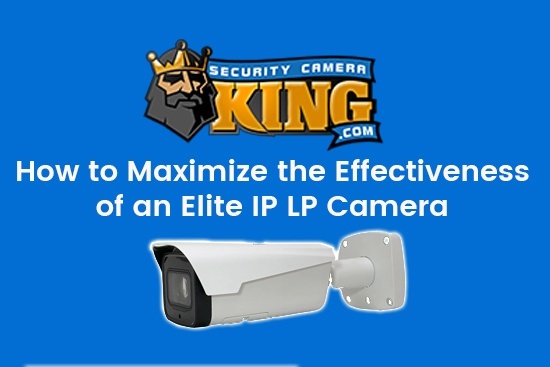 Security Camera King partners with multiple other industry-related businesses. These partnerships make up a unique professional network and give us the ability to help with any service you might need. For example, TechPro Security Products is a Boca Raton security camera and alarm system installation company. They offer a professional installation service for both business and residential locations throughout the South Florida region. Their expertise in security camera placement helps to make sure all of our clients are getting the most out of their security cameras and surveillance systems. Digital Security Guard provides a remote video monitoring service that helps keep out unwanted visitors while proactively protecting your private, commercial, or business property. They are a private security agency with virtual guards that monitor your property remotely. By collaborating closely with local law enforcement and emergency response teams, they keep you protected 24/7 at a fraction of what it costs for a traditional team of private security guards. And our partners at eLine Technology manufacture and supply the most innovative and cutting-edge surveillance technology available. They continue to find ways to advance what is possible when modern high-tech security cameras are combined with the right network and software solutions. If you are a distributor, integrator, supplier, or want to learn how to become an authorized dealer then visit their website to learn more. If you have any specific questions about the guide for adding devices using Smart PSS on PC or regarding any products or services discussed in this article, call 866-573-8878. Or you can send us your questions through our Contact Us page to receive a quick response via email.